The hosts reached 280 in the first innings and hammered 421 in the second whereas the visitors managed 244 runs in the first followed by 138 for the loss of two wickets in the second innings. The fourth day’s play concluded on Saturday, December 21, 2013, at New Wanderers Stadium, Johannesburg. Earlier, India went into bat at 2-284 after 78 overs whereas Cheteshwar Pujara and Virat Kohli were at the crease for 135 and 77. 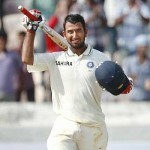 They got off slowly by scoring 12 runs in six overs and lost the first wicket at 315 when Pujara was gone for 153. His partner kept on creeping as Rohit Sharma was clean bowled by Jacques Kallis for just six runs. 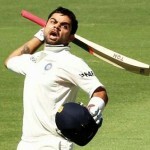 Virat Kohli was dismissed for 96 and the entire touring side was bowled out for 421 in 120.4 overs. Vernon Philander and Jacques Kallis were the main wicket takers with three each whereas Imran Tahir and Jean-Paul Duminy shared two each. 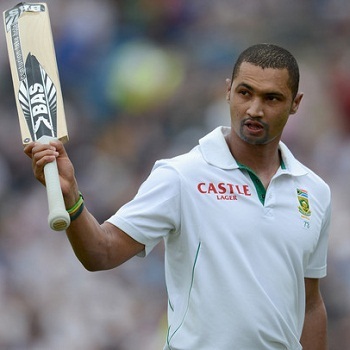 South Africa needed 458 runs to win the match and Alviro Petersen along with his captain, Graeme Smith, provided them a rising start. 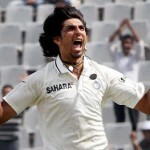 The first was the most aggressive of the two and attained his sixth Test fifty in the 19th over with 6 fours. 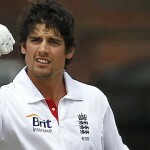 Smith kept on enhancing at the other end and was unluckily run out at 108 after scoring 44. Mohammed Shami uprooted the stumps of Hashim Amla for just four runs as Faf du Plessis took guards in the center. Alviro Petersen remained unbeaten for 76 whereas du Plessis was at the other end on 10 while the hosts scored 2-138 in 45 overs. South Africa faces an uphill task of scoring another 320 runs with eight wickets in hand to clinch the game and India looks like a strong contender to grasp the encounter on the final day.